In a medium bowl whisk together flours, baking powder, salt, and cinnamon. In another bowl mix together coconut oil and sugar until combined. Stir in egg, vanilla extract, almond extract, and Silk Almondmilk. Slow stir in the wet mixture into the dry mixture just until combined. Slow stir in the raspberries. Spray 12 cup muffin tin with cooking spray. Using a cookie scoop or spoon, divide the batter among the 12 cups. For the streusel topping use your fork or hands to mix together the brown sugar, flour, almond and butter until it forms crumbs. Sprinkle evenly among the muffins. Bake for 18 - 20 minutes or until tooth pic comes out with a little bit of crumbles on it. Son't over cook the muffins or they will be dry. Mine cooked perfectly at 18 minutes. 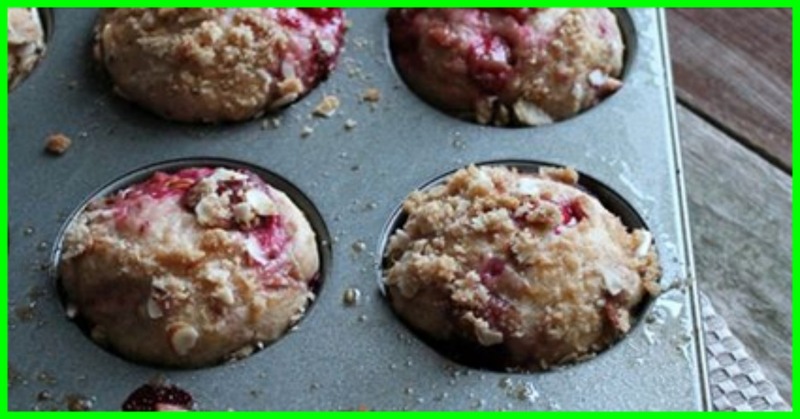 These muffins can be made ahead of time and stored on counter or in the refrigerator for 2-3 days. You can also freeze them for up to 3-6 months. Thaw on the counter and enjoy.